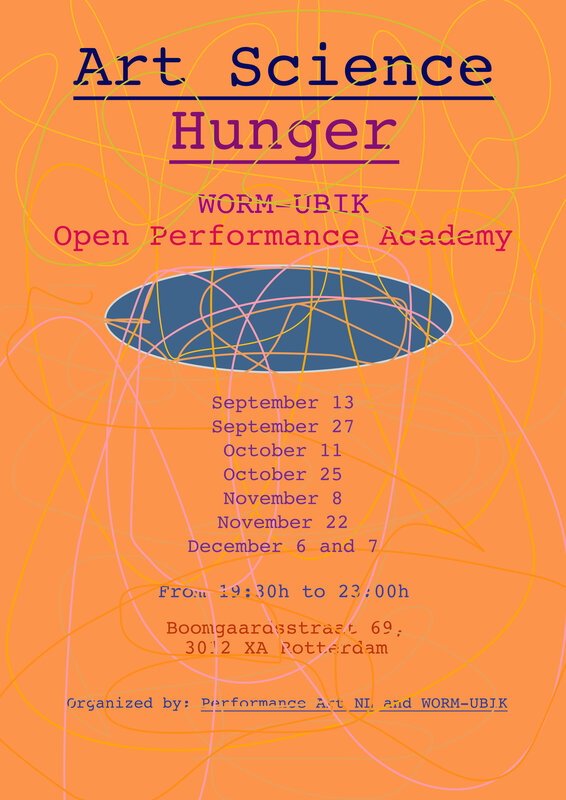 It is with great pleasure that we invite you to the exhibition and live performances on Thursday and Friday at WORM UBIK and Slash Gallery, organized by the Open Performance Academy, an afternoon of performances in the context of liquid knowledge. 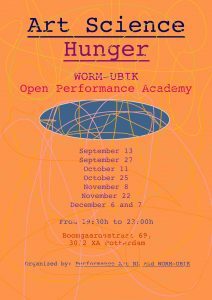 After six meetings where performance artists, scientists and audience shared knowledge, feedback, doubts and food, The Open Performance Academy wraps up the season with installations and performance-presentations. 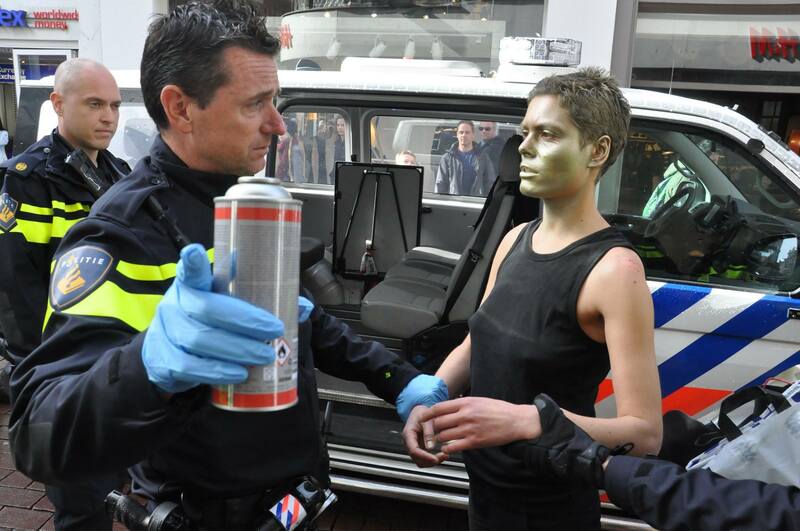 Come experience the in-depth research of several national and international artists!